I hope you're well and you’re enjoying a lovely relaxing day! 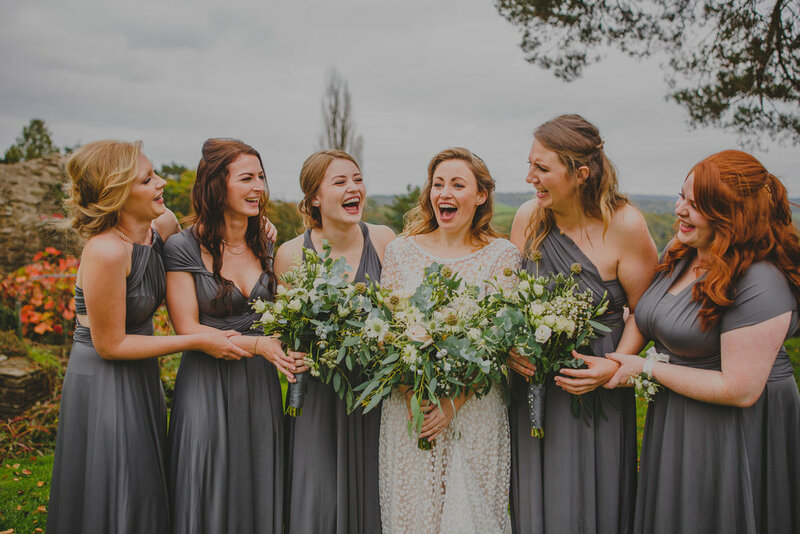 Today, I thought I'd share some utterly joyful photos of Boutique Bride, Kate and hubby Alex's wedding day! 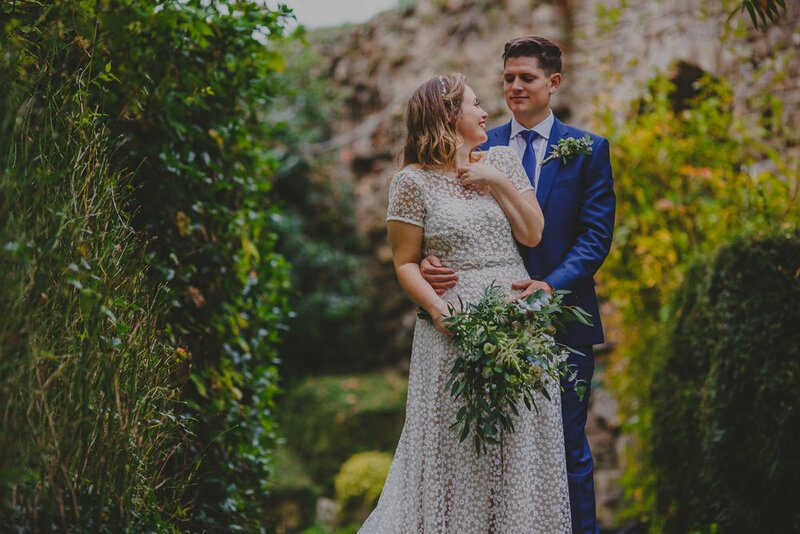 Kate & Alex had a beautiful church ceremony followed by an epic reception in the stunning Usk Castle! 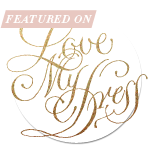 Their gorgeous wedding was captured on camera by Claire from Loveseen Photography! Kate totally rocked our Isla dress, with champagne slip by E&W Couture, and paired them with our lovely Daisy sash from Claire Hill Designs. Isla is such an eye catching gown with small embroidered daisies covering the whole dress. 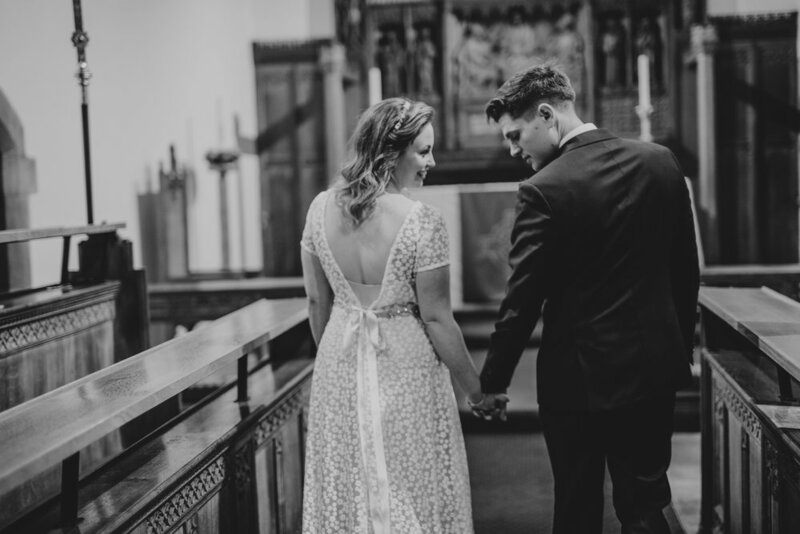 With her short capped sleeves and rounded neckline into a super low V back she is so feminine, and not to mention her incredible train which is the ultimate nod to bridal! Alex's dishy suit was from a fellow independant retailer in Cardiff, called Hawkes Bespoke Outfitters! During our appointments Kate and I would always discuss our favourite foods and the new places we’ve found to eat out, and I was so excited to hear that their friend, Simon, (who does various veggie pop-up events) was going to be catering on their special day - to find out more about Simon and his catering skills click here: The Herbivore. 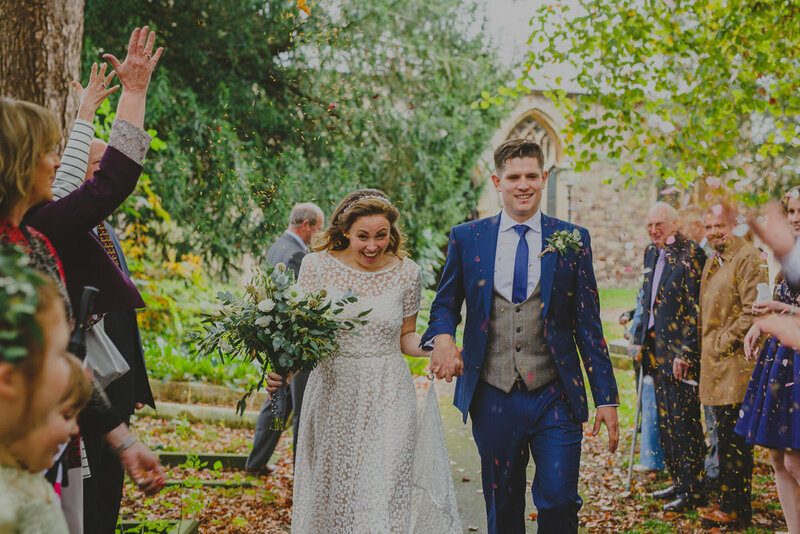 Kate and Alex also included more amazing suppliers on their big day such as The Handlebar Barista for the coffee lovers, and Pizza Wheels for the late-night pizzas and their favours were provided by the delicious Fabulous Welsh-cakes! 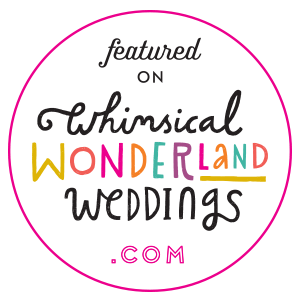 Talking about cakes - Kate & Alex's amazing wedding cake was created by Cardiff's awesome Ceri of the Early Bird and finished off with the perfect Cake Topper from Not on the Highstreet. Sophie from E&W Couture and I LOVED our appointments with Kate - blimey, we laughed, laughed HARD and laughed ALOT! I remember the first time I met Kate at Cwtch the Bride, she spotted Isla on the mannequin and by the time I got back to the Boutique that evening her awesome wing-women had got in touch to book an appointment. As soon as Kate tried Isla on we all knew it was the one - she looked like a goddess, and it was a complete privilege to be part of her wedding journey, not only helping Kate to find her dream dress - but also getting to know her wonderful friends, family and the epic woman Kate is, I honestly feel true friendship was formed! Most definitely a woman I would like to chat to for hours over a cuppa, or shall we make that a G&T! "From the moment you step into Rachel's shop, you are greeted like an old friend and made to feel as though you are the most important person in the world. Not only is Rachel a warm, kind and hilarious human being, but her passion for the independent Welsh designers she supports shines through at all times; she beams with pride when she talks about their individual styles. 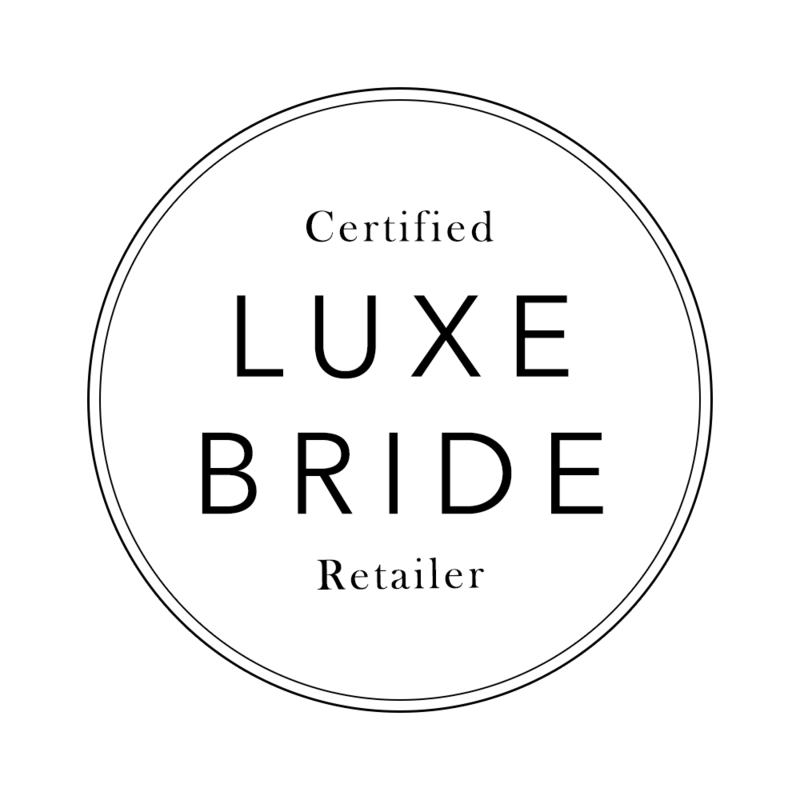 Despite never really feeling like your 'typical' bride, I found my dream dress here (shout out to Sophie at E&W Couture - you diamond) and it was a delight to return for every fitting - out of every aspect of wedding planning, my appointments with Rachel meant the most. I would urge all Welsh (or otherwise!) 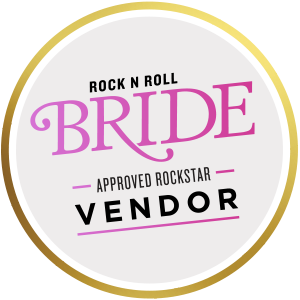 brides to drop Rachel and email or pop into her lovely shop. As for you, Rachel - you are a credit to the wedding industry and should be so proud of everything you have achieved. Thank you for making me feel like the best thing since sliced bread - not only on my big day, but also at every fitting and everything in between. 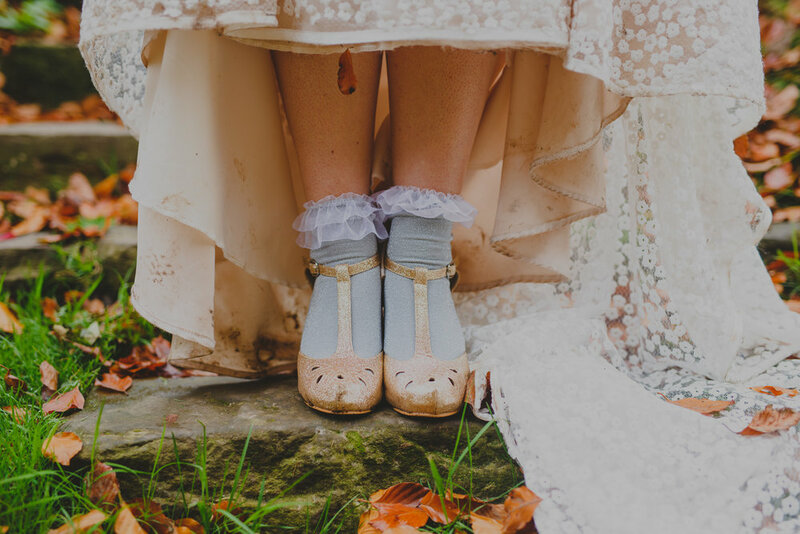 5 stars and lots of love x"
I'm sure you can see the pure JOY captured in these photos (and how brilliant is the socks / shoes combo!) - I can’t help but smile whenever I look at these photos! Kate - you are a TOTAL DREAMBOAT!